I’m thrilled to share this absolutely beautiful wedding with you all... my gorgeous bride Nicky and her now Husband Steve who married late last year at Gracelands in the Central Coast of NSW. What was your wedding venue and why did you choose there? We chose to have both our ceremony & reception at a place called Gracelands at Forresters Beach on the Central Coast about 5 minutes from where we live. 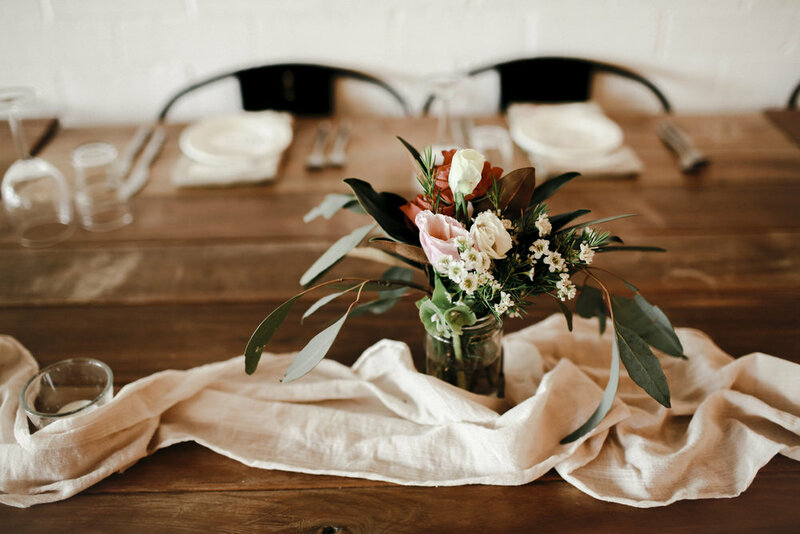 Gracelands ticked all the boxes for us as the perfect wedding venue, it has a wonderful ambience, friendly relaxed atmosphere, gorgeous industrial styling and the girls there are so friendly and helpful - we knew we would be in good hands. The fact that we could have the ceremony and reception at the same place was also a big tick. How did you hear about Prea James? I came across one of Prea's beautiful wedding gowns on Nouba and upon stalking her Instagram page, instantly fell in love with the style of every wedding dress I saw. There was something different that about the Prea James bridal gowns, a unique aesthetic & style I hadn't come across looking at other dress designers or magazines but was exactly the style I was looking for - feminine, ethereal & unique. I love the way I felt when I was wearing my wedding dress - it was designed and made for my body so it was comfortable and the delicate lace was so soft, it felt beautiful to wear. My favourite part of the dress would have to be the long sleeves and scalloped trim detail - this was one of the only features I knew I wanted when starting my journey with Prea and I couldn't have been happier with how it turned out. We didn’t really set out with a style in mind, but when it all came together I guess you could say there was a Modern spin on a Classic theme - lots of beautiful flowers with subtle styling pieces throughout the venue. We met at a BBQ of a mutual friend about 7 years ago – we both agree it was love at first sight. We were holidaying in New York, our first big trip away together. I had booked a surprise speed boat tour of New York on the Hudson River and we almost didn’t make it, we got lost on our way to Pier 25 down in Lower Manhattan – the trains over there are so confusing! We were running up the pier as the boat was pulling away – luckily the driver saw us and turned around to pick us up. It was freezing, about 8 degrees so not ideal conditions to be out on the water, we were wearing Ski goggles – but it was so much fun! When we got back to the pier, I was desperate to get inside a café somewhere and warm up – but Stephen really wanted to go and take photos of the sunset at the end of the pier…I powered ahead to warm up, when I got to the end to my surprise I turned around to him on one knee with a beautiful ring – my fingers were so cold he couldn’t get the ring on my finger. He said he was carrying the ring around in his pocket since we got there waiting for the perfect moment. A beautiful memory we will never forget. It was extra special to have my Nan attend the wedding, a memory I will treasure forever. She sadly passed away earlier this year, but she told me a number of times that our wedding day was the “best thing that ever happened” so I think she had a good day. Any words of wisdom when it comes to choosing a wedding gown for our future brides? I think it's important to really explore your options and styles of different dresses, there are so many out there, so don't settle until you're completely happy with a design you love. Working with a designer or stylist you feel comfortable with is also very important as you will need to be completely open and honest when it comes to communicating what you want. With that said, working with Prea was a dream - she made the whole process so enjoyable and easy, I felt like I was visiting a friend with every appointment - her approach was very professional, kind & patient, I knew I was going to love the end result. Finally, Do you have any words of wisdom for couples planning their big day? 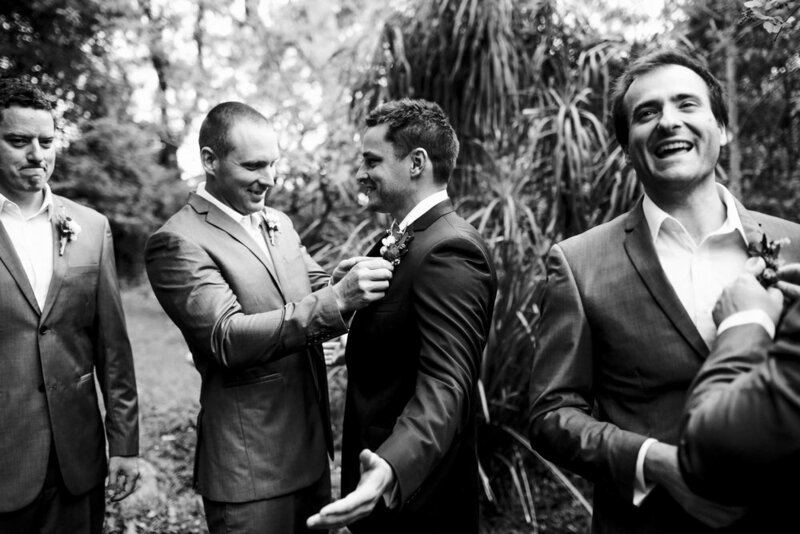 This can be to do with any part of the wedding – eg, planning, budget, or the day itself. Have fun planning your wedding, go to wedding fairs, buy the magazines and most importantly, take time to find vendors you are completely happy with so on the day you can relax and not stress about the small things.